2015 was fabulous: here are my highlights! Whoosh! As another whirlwind year winds up, I’m proud to say I’ve managed to stay inspired, motivated and active - all the while growing and loving deeper each day. How have I managed this? I keep it simple. I stay connected. These simple mantras help me transform my life every day. It’s easy to feel overwhelmed. As a mother of four kids, I’m constantly juggling my family, my work, as well as caring for myself. Afterall, if I’m not happy and healthy, my family will suffer. Of course, there are times when the kids are sick, I’m overwhelmed with deadlines and I slack off here and there! But I always remind myself to get back into the groove. I keep my goals simple and realistic. Even if I spend just a minute or two a day doing the right thing, it all adds up and, before you know it, you’re on your journey to a life transformation. Staying connected means reaching out and keeping in touch with those that inspire you, the people who champion you. We need people in our life who help you through the lows and celebrate you with the highs. My life is what it is because I stay connected with my heroes and with you. As for the others - you don’t need them! I’ve taken time to think deeply about the things that kept me inspired in 2015 and I would love to hear about your special moments too. The year started with a big bang, and the first of many “dreams do come true” moments of the year. I got the opportunity to make my Fruit & Muesli Yogurt Parfaits on Jamie Oliver’s Food Tube, and months later, I am still beaming and thrilled that I had a chance to work with my biggest food hero. If you haven’t seen Food Tube, don’t wait any longer. It’s full of amazing ideas for healthy snacks and meals for the family. Plus I need to get back on that Food Tube screen. What’s more simple than playing? While racking my brain to find creative ways of keep 4 kids under 9 entertained, I let my kids inspire me. And, we played games! Running, chasing, jumping on trampoline for no purpose than just having fun. My kids and I pretended to be Robin Hood and ninja-ed our way through the backyard. I’m a big fan of David Belle and Parkour, who I highlighted in January, and this was our version. It also really helped that I took 20 days off social media for our January challenge - #offthegrid2015. 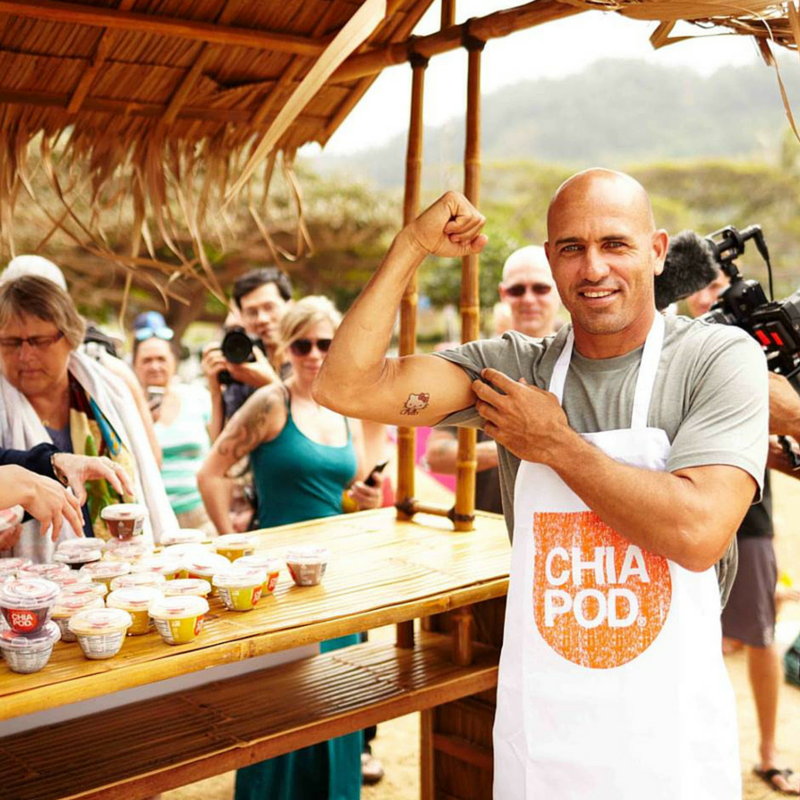 Kelly Slater - eleven time world surfing champion and fitness and chia expert! This man is inspirational to both my husband and me, and I was swooning over the chance to interview Kelly when he was in Australia for the Quicksilver Pro surfing championships. Kelly is The Chia Company ambassador, and we had a great conversation about staying active and healthy and shooting for the stars! I’ve been shouting about chia for a while now, sprinkling this superfood into everything from juices to my easy peasy smoothie bowls. Valentine’s Day was indulgent, fun and loving in our home. I connected with Pana himself and his amazing head chef Amber at Pana Chocolate’s factory in Richmond. 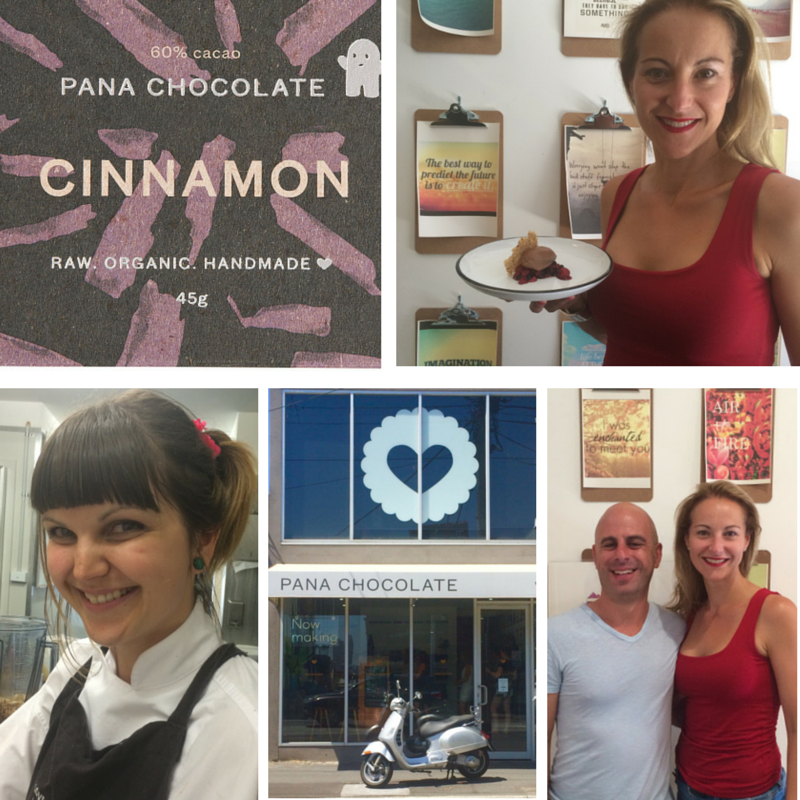 Together we came up with the perfect valentine dessert - the Pana & Dani Chocolate Cinnamon Mousse. This recipe is packed with yummy goodness - and it’s decadent and healthy? Who said you can’t have it all?!!!! Dream dates with you and my favourite dreamer Jamie Oliver! 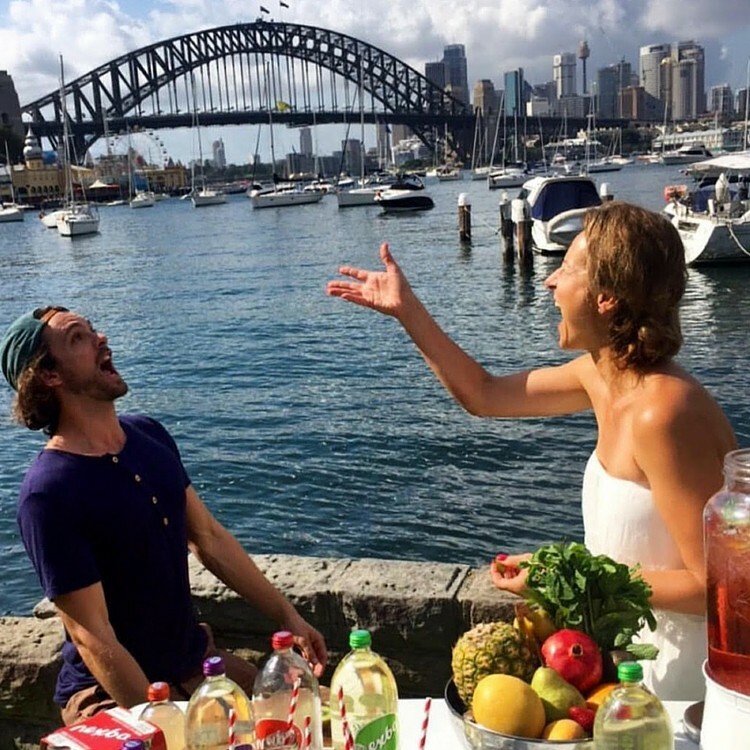 We launched a ‘Win a Date with Dani’ to watch Jamie’s Food Revolution in Sydney. The winners - Liz and Alison -- and I represented Team Dani at the Sydney Opera House where we were inspired by Jamie’s vision to bring back cooking meals and healthy eating for everyone. Dream big! This month was about dreams coming true. 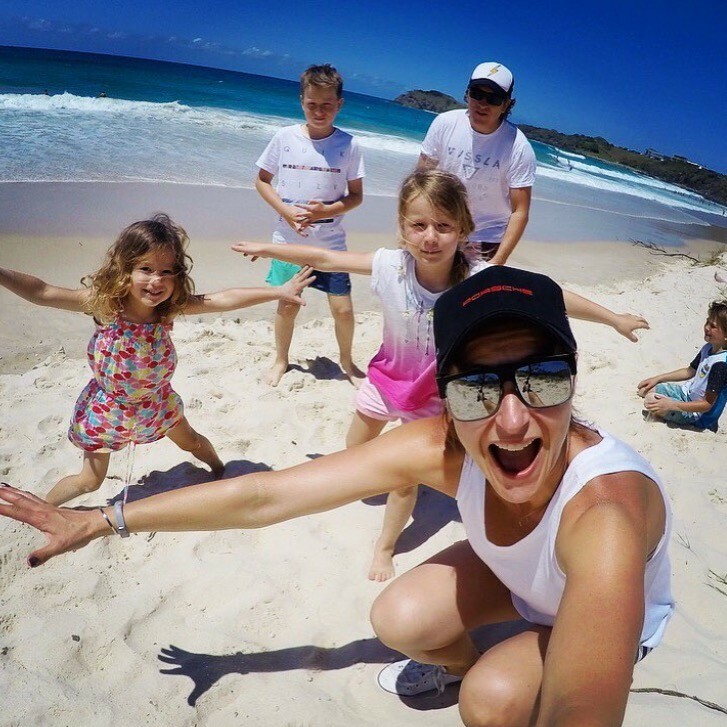 We moved our family as close to Byron Bay as possible and fell in love with our dream life. Long days of sunshine, hikes on the beach and bike rides kept us exploring and busy. This completed our dream of coastal living, and we couldn’t be happier. hands-down the best magazine of thought leaders, game changers and style makers. This interview reminded me that collectively, we can find another way, break our self-imposed rules and change your lives, our bodies, our attitude for the better. It is possible! So often we are limited by our ideas of what is possible -- dream big and your dreams will come true! Lisa Messenger you truly are amazing. 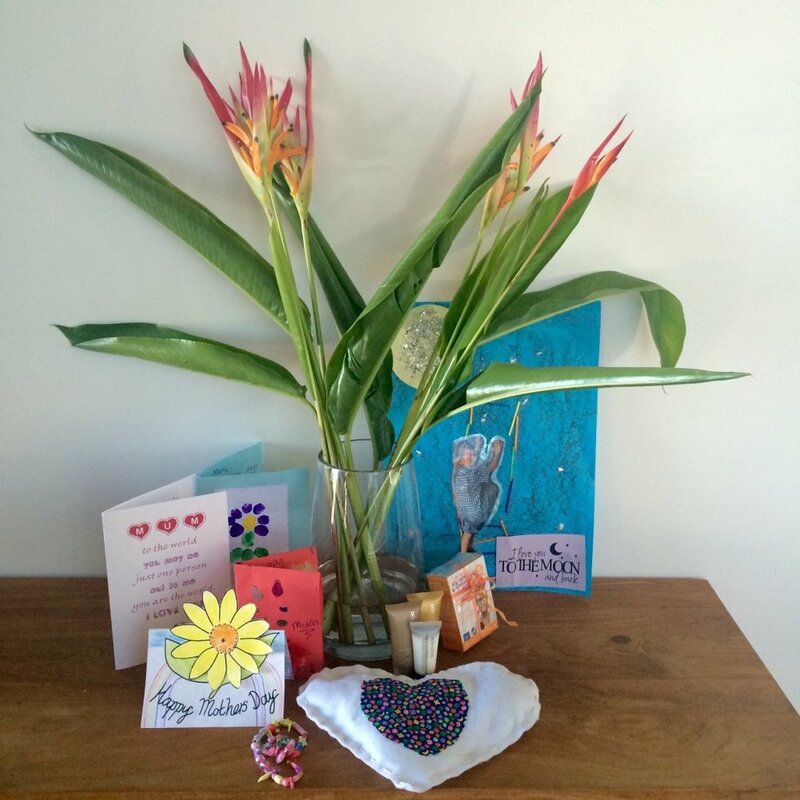 A perfect mother’s day present: simple and beautiful handmade presents made by my kids and a chance to connect with others about active living. In May, I was thrilled to be part of Lorna Jane’s Move Nourish Believe segment called Mums Make Things Happen. And, we certainly do! Jamie Oliver connected with us again this month. First, Jamie celebrated his 40th birthday and shared his passion and goals. It was a great interview, and if you haven’t read it, you must. Not only is he an inspirational chef, but he is the master of balancing life, healthy eating, kids and relationships - he is endlessly inspiring and I'm thrilled to be connected with him. I have also been part of the epic YOU-app with Jamie Oliver as I host the MOVE micro actions. Jamie shares my ethos for keeping it simple and keeping fit and active - and this app is all about that. My two minutes of stretches over at YOU-app is an example of how micro-filled actions can add up to big changes. Please try it! Get moving, stay happy! Looking back, movement seemed to be the theme for July. We incorporated good moves as a family - staying active and fit together. I was also reminded that sometimes we need accountability, ways to stay motivated. And, the best way to be accountable is to find a friend to do it with! That is why staying connected is so important. Check out our ideas for getting moving as a family this month. 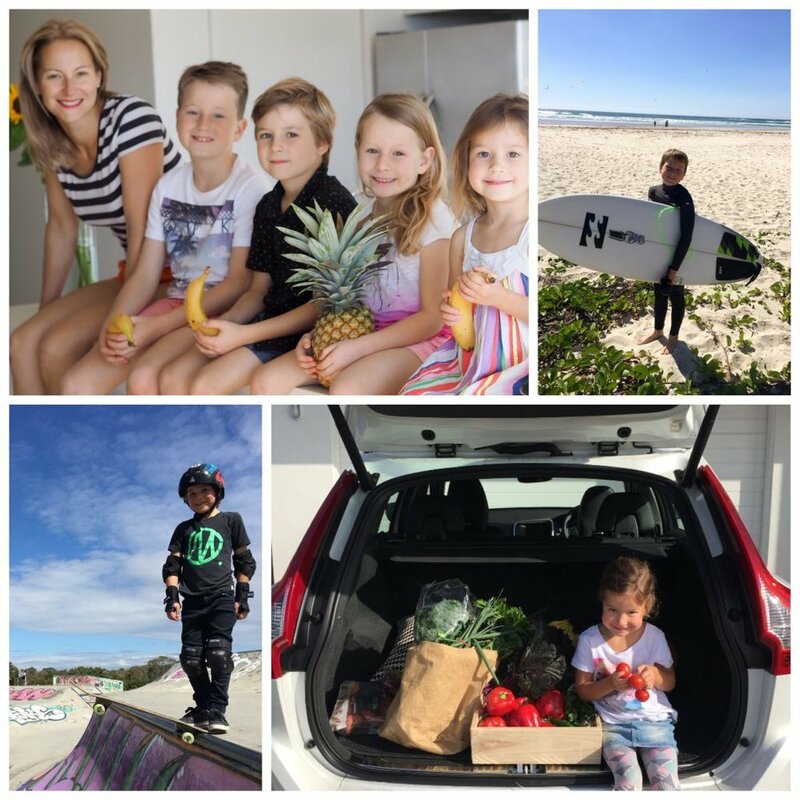 Noah turned 10 and Zali turned 4 this month, and we hit the road with Volvo and the Telstra crew. 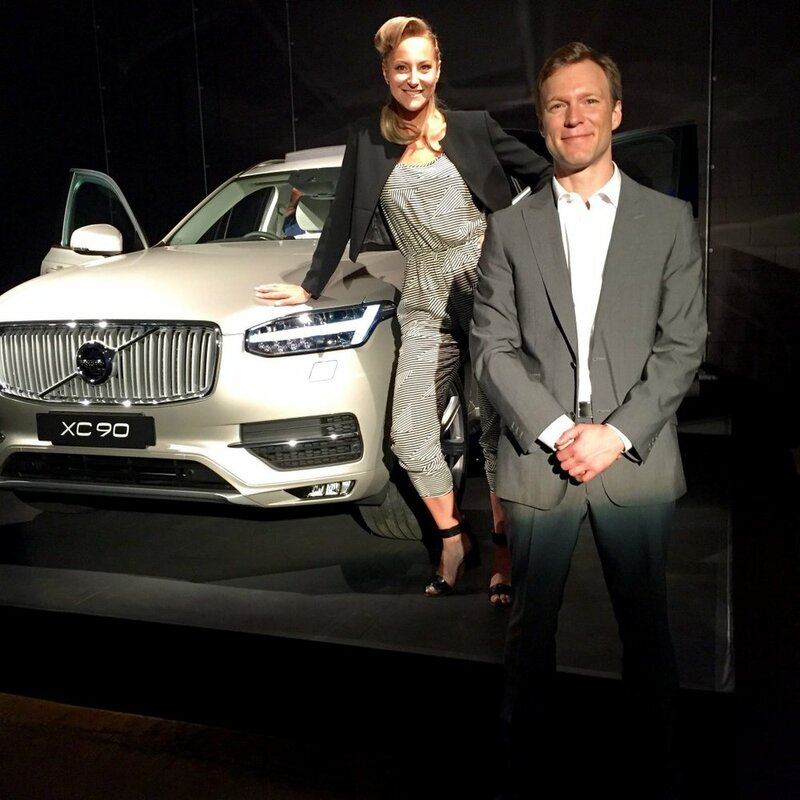 As a brand ambassador for Volvo, I was thrilled to help this amazing car company launch their XC90 model. I had an epic road trip with the XC90 - the car that virtually drives itself -- plus my Telstra partners live streaming the experience. I am so fortunate to be associated with such power house brands. As you know, Telstra is one of Australia's largest telecommunications companies, and it's how they help me keep connected with you! Technology is a beautiful thing and I am privileged to have these companies support me and you. Another inspo momentwith Dr. Oz, The Goodlife, who recognised me as one of the best realistic fitness bloggers in the world. And, this month was all about dealing with reality: tending to sick kids at home, staying on track with fitness goals, and finally launching my 30 Days Fitness and Food. We all have these challenging moments, but as Dr. Oz says, we have to be realistic. And, keeping it simple, tackling things step by step, and staying motivated by staying connected kept me energised and productive. I’m super-excited to share my work with Dr Oz and his team in 2016! Stay tuned. 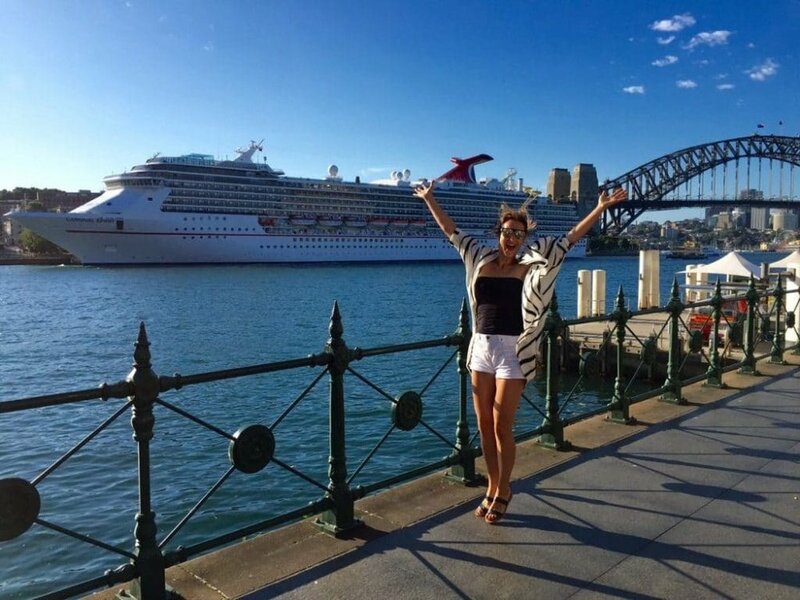 We also took a great family trip to Sydney, with the help of Airbnb for finding us some great accommodation. This was great bonding time! What do celery, spinach, watermelon, cauliflower, tomatoes have in common? They are over 90 per cent water! October’s challenge was to drink more water, and if you missed it, it's not too late to begin. Hydration is a must for good health and good skin - we are mostly water after all. 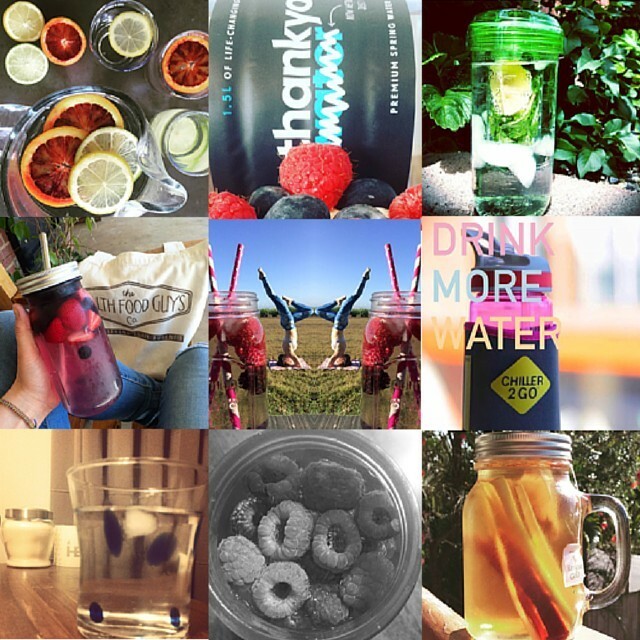 I teamed up with Thank You to encourage you to get drinking in our #dswaterchallenge. Rocktober was all about birthdays as Adrian hit the big 40 and our little Mietta turned 6! 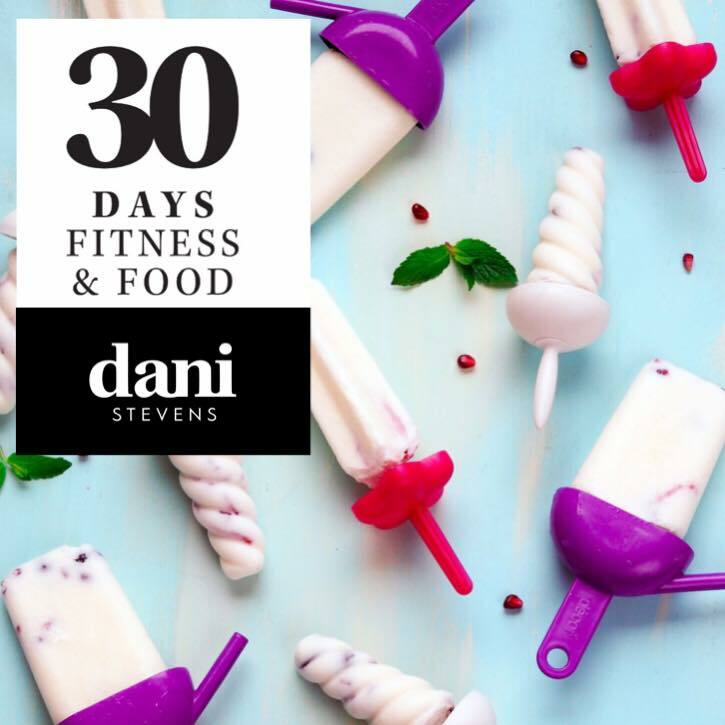 But perhaps one of the biggest highlights of this month was the official launch of my first ever e-book: 30 days Fitness & Food. I made this to share all my family, fitness and food tips to help make your healthier and simpler. I hope you all have enjoyed it as much as I enjoyed sharing it. If you haven't gotten around to it yet - grab your copy now! Keep it simple means getting creative - sometimes multi-tasking and getting several things done at the same time. I have many business meetings and clients to catch up and sitting and talking in an office just got too boring. I slipped on my trainers and headphones and took phone calls and meetings in the park! Walk your talk - brilliant! 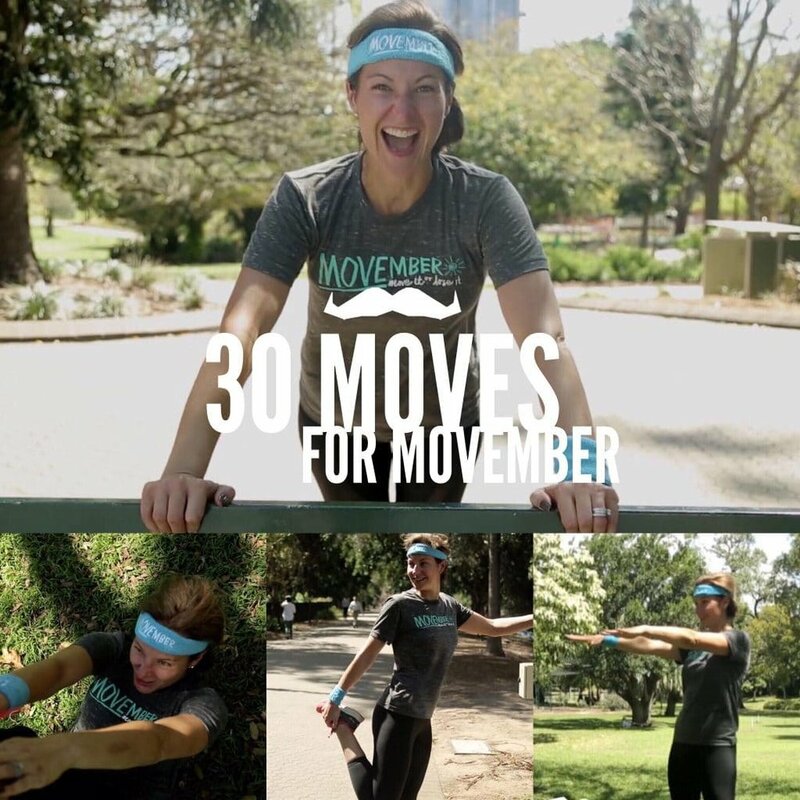 This month I teamed up with Movember's campaign to MOVE - 30 moves for all 30 days! I also caught up with Troy Douglas from Nexba in Sydney, which was loads of fun! Plus the gorgeous and very talented chef Guy from Bondi Harvest. I can't wait to share this epic Crispy Salmon and papaya salsa salad dish. Thank you Papaya Australia for choosing me as your ambassador. Cruising and Christmas! December was a total vacation and holiday wonderland of memories. If you’ve kept up with me over on Instagram and DaniStevens.com, you’d know we took a Carnival Cruise to the French Polynesian islands. Just a few hours by ship away from Australia, and the islands seem like a world away. We got back to basics: sunshine, water, and healthy foods and the company of family and new friends. Then back for Christmas, and more holiday festivities. With all the temptations to let go, I kept on track with my squat challenge. Everyone got into it - from tourists and French Police officers we met on the beach to the kids -- and with 25 squats a day kept us on track. And, there it is -- the perfect reminder of the power of keep it simple and keep connected!! You have been my continuing inspiration to motivate and inspire. 2016 will be bigger, brighter and a time to make all your dreams a reality.